Oh my goodness! 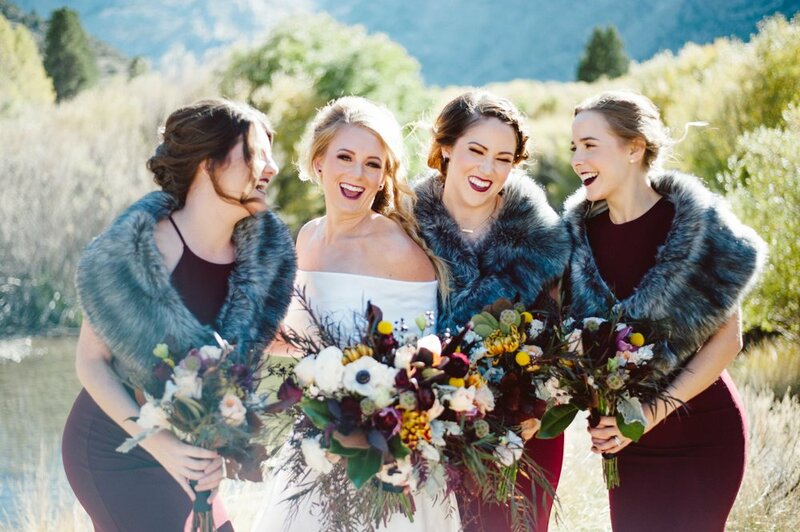 Where do I start with this insanely stunning mountain wedding in June Lake! 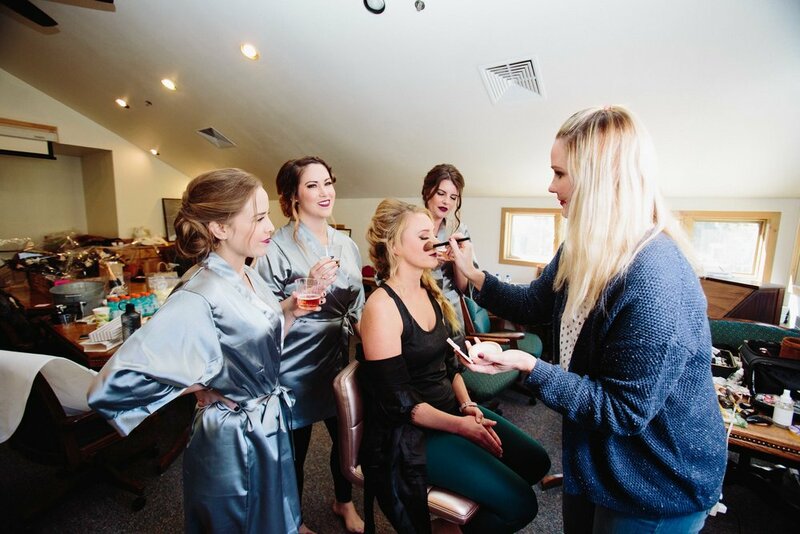 And, yes, Thorne Artistry loves to travel for weddings so let me know if you’re out of state or even out of country! 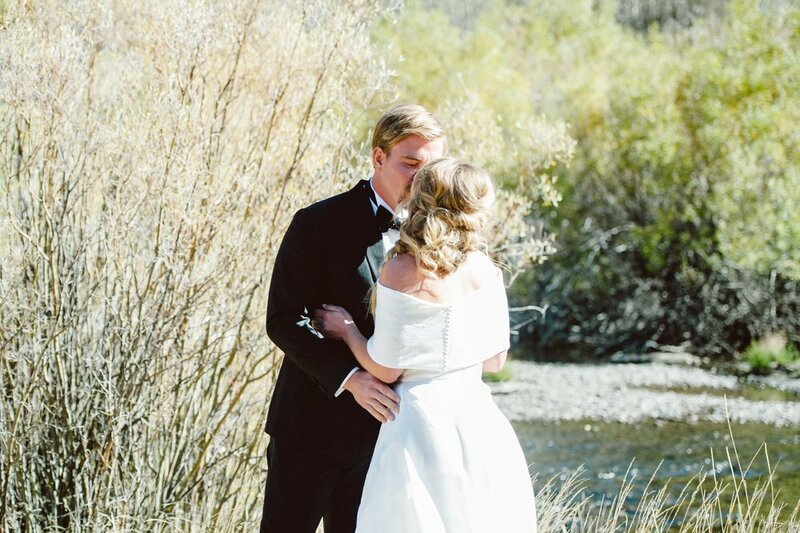 Amanda and Michael have a beautiful love story that includes the love of animals and the outdoors. She works at the San Diego Zoo, and he works at Birch Aquarium. 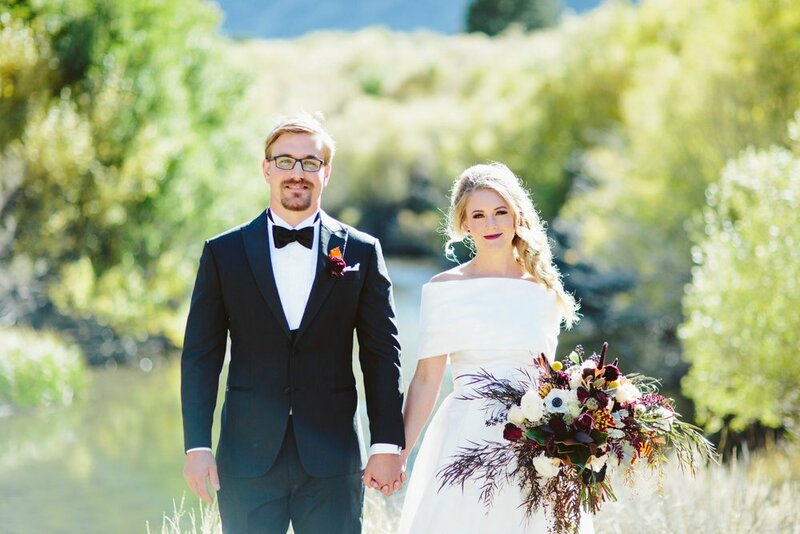 They love to hike and fish together so it only made sense to have their wedding in the beautiful Sierra mountains. Besides the killer landscape, Amanda has impeccable taste and picked a bold, fall color palette with lots of mixed metals and texture. All of my favorite things! 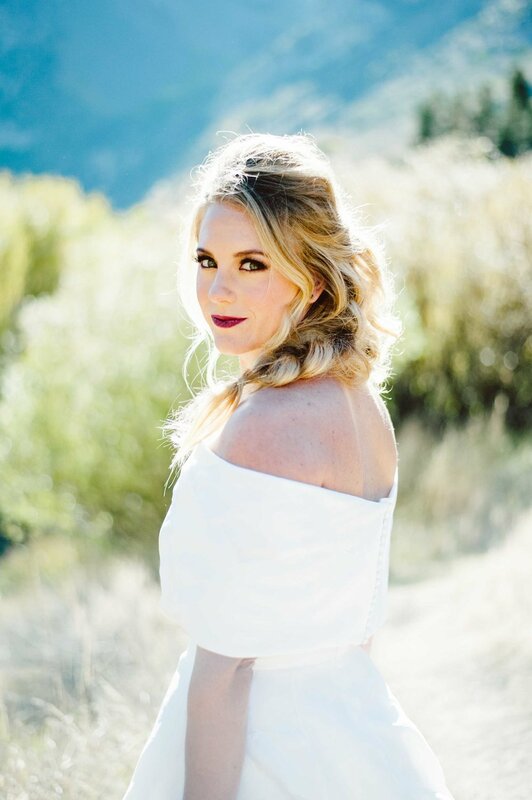 We had so much fun at her hair and makeup trial deciding on this ultra glamorous, fairytale braid with a berry smokey eye and berry lip. 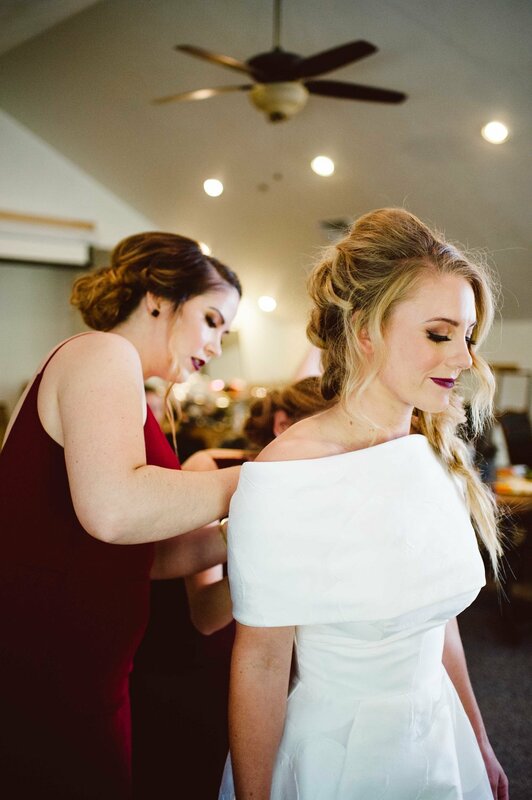 She initially thought it might be too dramatic, until I reminded her that she would have her wedding gown, colorful florals, and amazing mountains as her backdrop. I’m glad she went big, because the result is breathtaking! 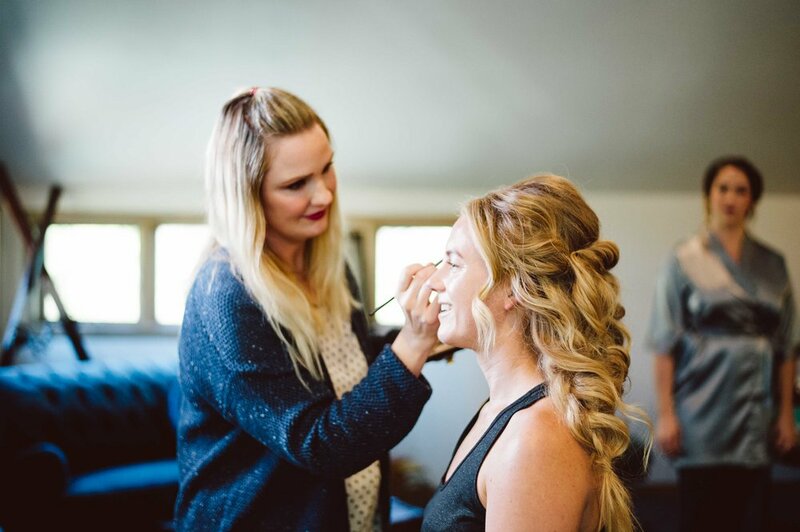 Tip: don’t be afraid to go bigger and bolder on your wedding day! Makeup is always muted in photographs (it looks almost 25% less! ), and in photographs you can always do things bigger. That includes jewelry, fur stoles, and your makeup and hair. Check out the amazing day!